Lake County Undersheriff Ben Woods and Sheriff Don Bell stand outside the Lake County Courthouse where the jail is located. 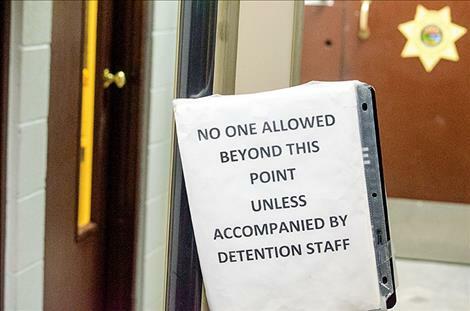 The two law enforcement officers developed an overflow document, posted on Facebook, to show the community how many people are released from jail each week due to a lack of space within the jail. 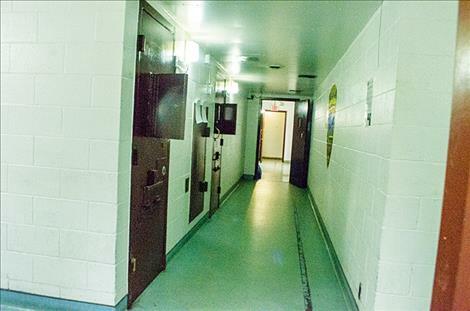 Jail cells are located behind metal doors, down a long hallway. Sheriff Bell says the layout is inefficient. A sign at the entrance to the jail reminds people to wait for detention staff before proceeding. The Lake County Jail is at capacity with 46 people, but Sheriff Don Bell makes room for violent offenders. 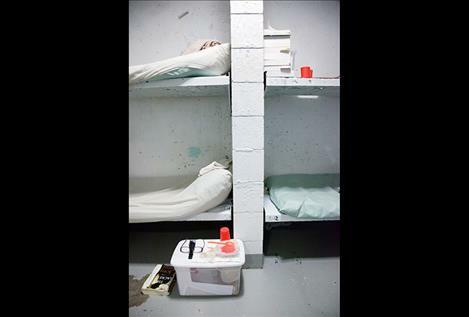 POLSON – Lake County Sheriff Don Bell wants the community to see just how many people are being released from jail each week that would have remained incarcerated if it weren’t for a lack of space. “We want to be transparent about the problem and show people how badly we need a new detention center,” Sheriff Bell said. The Sheriff’s Office created the “Lake County Detention Center Weekly Overflow Log” to illustrate the problem. It contains the names of people who would have been put in the jail if there was space. It also includes the law enforcement agency making the contact or arrest, and the reason for the interaction. Although the log is new, it’s already averaging 20 names a week. Sheriff Bell tasked Lake County Undersheriff Ben Woods with the job of collecting the names of the people released from jail due to a lack of space and posting them on the Lake County Sheriff’s Office Facebook page with more than 4,000 followers. Sheriff Bell said his initial intention for the log wasn’t to deter people from crime but that might be one of the effects if people don’t want their name posted on a public website. The project is replacing “Warrant Wednesday,” which was a Facebook publication of the names and mug shots of people with warrants out for their arrest. Sheriff Bell said a few people were found and some turned themselves in, but the project was mostly fruitless. “We ended up having to let them go anyway because there wasn’t room in the jail,” he said. The overflow issue in the jail isn’t a new problem. Undersheriff Woods joined the department in 2008. He can remember releasing people from jail back when he first started due to overcrowding. “The jail is the central point for our justice system, and the system suffers when the jail isn’t adequate. This is your justice system struggling,” he said. Sheriff Bell said letting people free that should have been in jail is frustrating for law enforcement officers. “We are unable to fulfill our mandate to keep the community safe when we have to let people go,” he said. He clarified that violent criminals are not released. Violent criminals and people with high dollar warrants are held even if there isn’t room in the jail. “We will make room if they are violent,” Bell said. People with a court order are also held. The jail is at capacity with 46 people. If more people are brought in, extra mattresses and blankets are put in places like the recreation room. 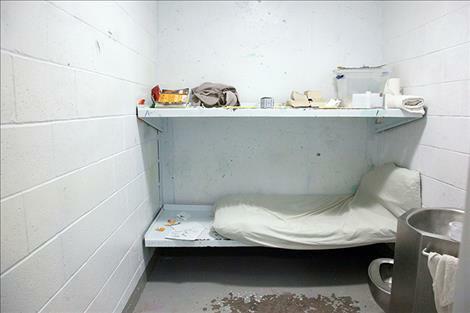 In recent years, the jail has housed as many as 60 people. The number was as high as 90 before a lawsuit, occurring about 30 years ago, reduced the number of people held in the jail. Undersheriff Woods explained that Sheriff Bell has a system when the jail is at capacity. He said officers have a standing order to call the sheriff and tell him what the person in custody has done and if that person is violent. The sheriff weighs the risk of having an overcrowded jail with the risk of releasing the person into the public. Letting people back into the general population after committing a crime might be having an impact on the crime rate in the county as those people go out and commit more crimes. “A good percentage of the people released with meth will go out and sell again,” Bell said. The lack of jail space is also giving the justice system in the county a certain kind of reputation with criminals. “The criminal element in Lake County, they know we don’t have room to put them in jail,” Undersheriff Woods said. He added that people committing non-violent crimes expect to be quickly let out. Woods said people on probation or parole also realize that officers are limited in what they can do without the ability to send people to jail for violations. The space issue also creates a problem for people waiting to serve time on a sentence. Sheriff Bell said the waiting list contains hundreds of people and some have waited for more than five years. He said an un-served sentence on a person’s record makes it difficult for them to get a job, so he created the work exchange program. 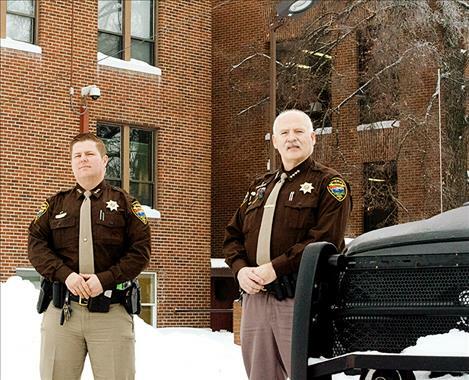 The Sheriff’s Labor Detail program allows people to serve time by doing work in the community – cleaning up leaves on the courthouse lawn for example – in exchange for time on their sentence. The project has helped fill 100 jail-days since it started in mid-2017, he said. Sheriff Bell said he has continually looked for solutions to the jail’s space problem for the past three years. He said the construction of a new jail would fix the issue, but funding the project is another problem in a county with a tight budget. Putting an addition on the jail would only create a Band-Aid fix, he said. 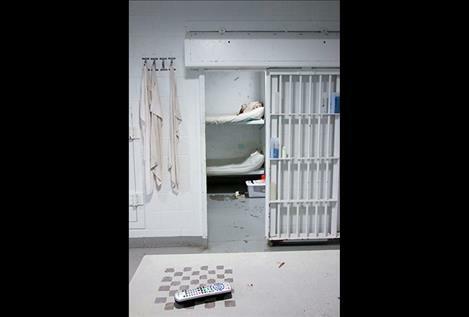 “We need a new jail with around 75 to 100 more beds to control the criminal population,” he said. Sheriff Bell hopes to get support for a community study to find out exactly how many beds are needed to solve the county’s problem. He believes the construction of a new jail would be possible if the community got behind the idea by supporting a bond or levy to provide funding for the project. 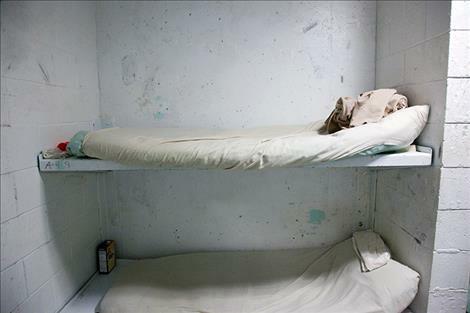 Sheriff Bell found a county in Louisiana that built a jail with 307 beds for $20 million. “We only need about half that,” he said. “It’s still a big number, but it’s something we really need. The current jail, originally built more than 80 years ago, has a problem with efficiency. 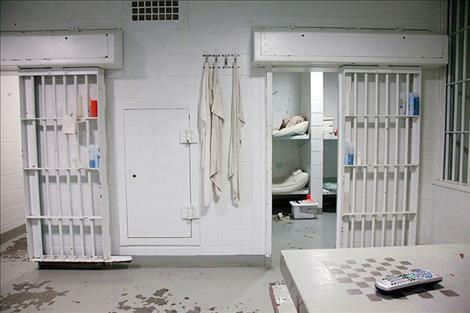 People are held in individual cells with solid metal doors. The guard has to get up and walk down the hall and look into each room. “Our staff does an excellent job of keeping people safe, but the system could be made more efficient,” he said. Bell imagines a new design that looks more like a pie. He said the guard would sit at the center and be able to look all the way around at each cell. He said the project would take about two years to build, but he hopes to help make it happen with community outreach.